Hey Jan! 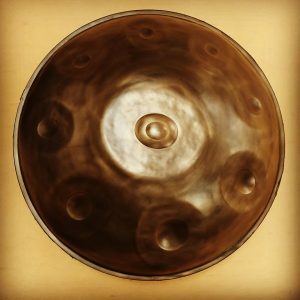 Thanks for your time, welcome to MasterTheHandpan blog! It’s good to have you! Hi there! 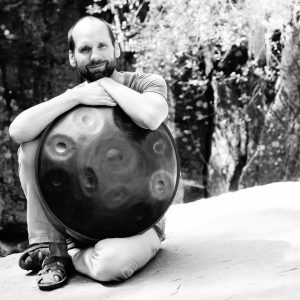 Hi David, hi to MasterTheHandpan readers! So…my name is Jan. I live with my family near Köln, Germany. For many years one of my professions is to run a Martial Arts School so that’s a big passion of mine. But even though I “teach”, I still consider myself to be a student because I know that I learn as much as the people I share with. Making handpans became another passions. It derived from being a musician all my life. What I enjoy about making these instruments is that it has to be done in a concentrated space and the feedback comes only from the metal at first. I feel like I need to stay balanced when I am working because the metal seems to have its own spirit … so, staying focused or taking breaks (to stay relaxed) in between is very important (although that’s very nice in theory, and in day-to day life it doesn’t always work… LOL). Why did you decide to start making handpans? Well, I am a musician in my heart. I started playing piano as a child and later I loved improvising, composing world music, CD production, film scores and meditative music. So I feel like I always had an affinity to sounds that move me or others. Then, more than 10 years ago, I was on a journey in India and in the distance I heard this beautiful, unique sound. Somebody was playing a Hang. I was overwhelmed with its sound and how it touched me. What an amazing instrument! Later, I managed to play and own one. All of this led me to handpans. After playing a lot of different Handpans, comparing them, and pestering makers to create an instrument for me…. I made up my mind to go on a quest to build them myself. It was very hard in the beginning and there were moments I wanted to give up but I was lucky to have great teachers that encouraged me so I am very thankful to them and also grateful for the support I received from my family. How did you find the name for your instrument? What’s the story behind it? Roughly translated “Tao” means “way” in Chinese and is related to the taoist philosophy. The “Tao” has to be experienced and felt, it’s a feeling of coming back to the source. I started martial arts when I was a kid and was later introduced to Tao meditation practices. I feel very connected to this path. It has no dogma and many people I met and who taught me were shiny, inspiring people. I experienced moments of bliss and happiness in between so I felt this way is a good and practical one for me plus it’s a good friend for the ups and downs of life. So, because of this personal connection, I called the instruments “Taopan”. What I like most is that people make such a strong connection with the instrument. It touches something that I cannot put into words. It’s an honor to witness this connection and see people so happy when they play. I was very touched by all the help we received on our Taopan Open Door 2018. It was planned as a little living room gathering to let people try the instruments. We were imagining maybe 10 to 20 people would come. Luckily we decided to make it in a bigger place because it was more central. I only posted it on Facebook and after some weeks a few hundred people had inscribed which I would never had thought!!! In the end more than 150 people actually came, that was an amazing experience to see all this support and interest and the many help we received (without this help it would not have worked out so well). What do you like most about making instruments? As a martial artist I share a lot with people and groups. Making handpans is a different thing. You are mostly alone and there is nothing except the steel and you. It reflects your emotions, so you have to be as present as possible and aware of your emotions when you work. For me, making is sometimes comparable to a meditative state. I also like that there are often humbling experiences that keep you grounded. So, I like to constantly improve the instruments I build. And in the end to see people play it with shiny eyes and passion is a great reward for all the work. I love making handpans. Witnessing the progress of an instrument is a very rewarding experience with ups and downs, moments of expectation and patience. For me, building is a way of self discovery and letting go. And the aim is always to build quality instruments that reflect the work and love you put into them. I try to harmonise beautiful sustain, note stability and appearance to create something unique, a piece of art that can inspire others. I sometimes try to push me to my limits so I built Mutant instruments, multiscale ones or recently an instruments with 3 + 1 Dings. I build in different sizes and materials (nitrated steel or stainless). Of course mainly in the standard 53cm but also in 50 cm or 46cm Mini Handpans. Anything you would like to add that I might have forgotten? I think you’ve covered everything pretty well. I just want to thank you for your interest and the opportunity to share my story. 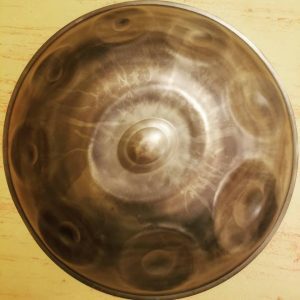 Do you have an anecdote or a funny story related to handpan? 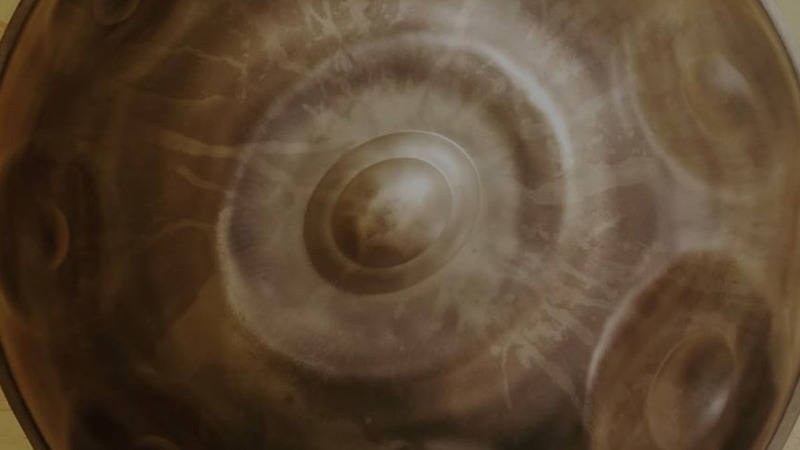 Once upon a time, a handpan player received a new instrument. It had several notes but he only played the centre note, never any of the others. He played this one note every day, year after year. His wife never complained about it. However, after many long years, she got a bit annoyed with listening to this one note over and over again. He glanced at her and answered: “Many musicians play their instruments as if they are searching for that one single note that fulfills them. Well … I have found that note already”. Not many people though know that he knows quite a bit about building and so he gave me an introduction. A long time after he then published a Video on Youtube with one of my earlier instruments. That made me very happy and closed one circle. Is there a saying or a thought you’d like to share relating to handpans or making? Well, the steel seems to have its own will and spirit sometimes. It is good to give it space to work by itself. When you don’t get a note … let it rest and come back to it later. Sometimes the more “willpower” one uses to reach a certain goal, the harder it gets. If you were lost on a desert island with only one scale, which one would you choose ? What advice do you have for someone who wants to start making handpans? Well, I never stop learning … one has to be aware that it is not an easy path to take. You need to be able to invest a lot of your time and of yourself. I was lucky to have enough time to dive into this. I am very grateful to the people that helped me, especially Zachary Lamscha (Leaf Soundsculptures) who mentored me with a lot of heart and patience. He is an amazing and humble builder and he saved me a lot of frustrations! Also to Jan Borren, Matthieu, Mayuko, Darren Dyke, Kabecao and many more that I learned so much from. Also of course to all the people that brought this art into life. Hey do you own a Taopan? How do you like it?